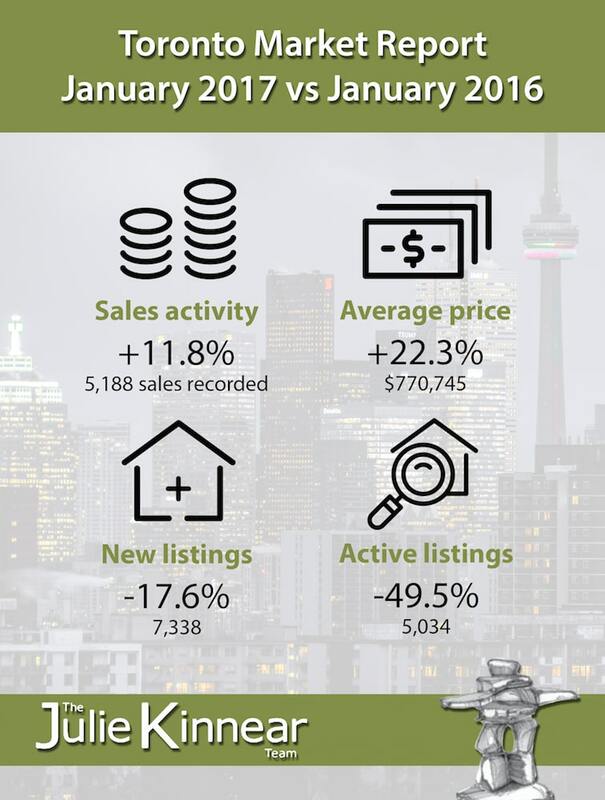 January 2017 continued what 2016 had started: sales were up on a year-over-year basis while the number of new listings was down by double-digit annual rates for most major home types. As we move through 2017, we expect the demand for ownership housing to remain strong, including demand from first-time buyers who, according to a recent Ipsos survey, could account for more than half of transactions this year. However, many of these would-be buyers will have problems finding a home that meets their needs in a market with very little inventory. The number of active listings on TREB's MLS® System at the end of January was essentially half of what was reported as available at the same time last year. That statistic, on its own, tells us that there is a serious supply problem in the GTA – a problem that will continue to play itself out in 2017. The result will be very strong price growth for all home types again this year. In case you missed it – JKT January News	First Time Home Buyers? Ask us for help!